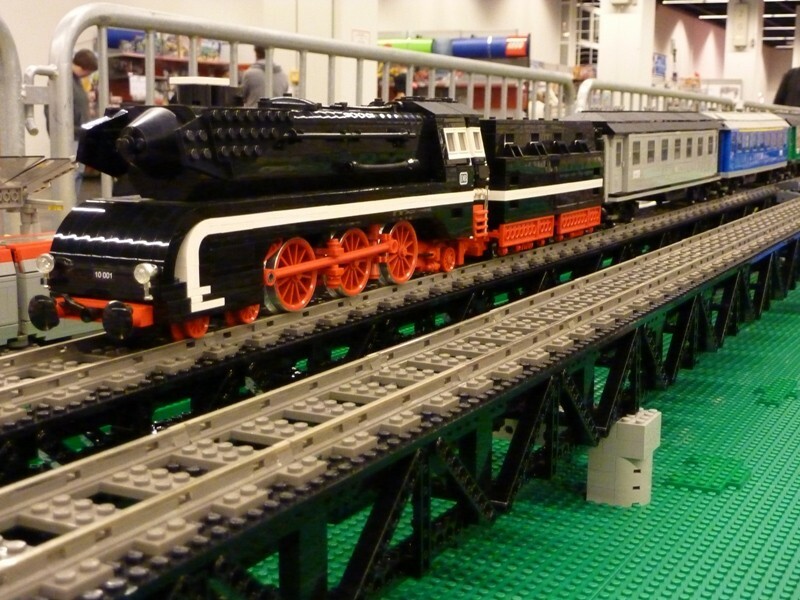 Enjoy my realistic-looking LEGO® models! 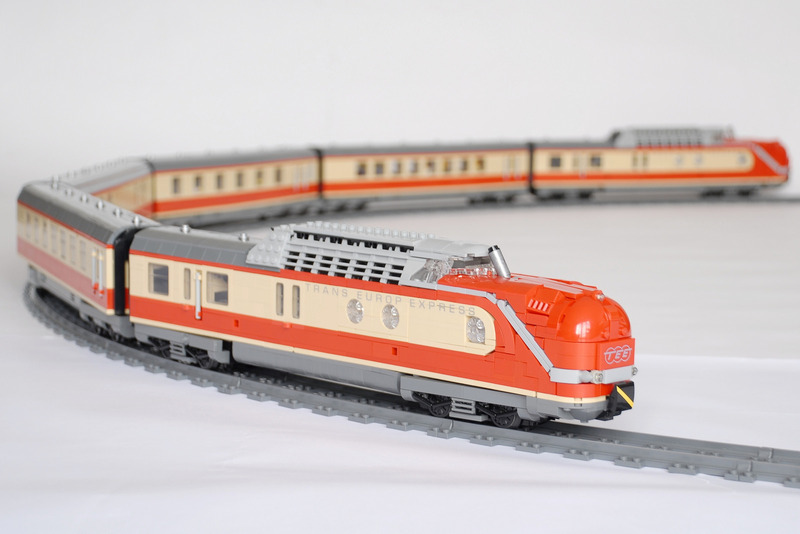 The famous diesel multiple unit VT 11.5 Trans Europ Express (TEE) as LEGO train MOC. Based on the English version futher translations showed up on various markets, e.g. Spain, Italy and (upcomming) Russia. Also, a Chinese version is available as direct translation from the German original version. 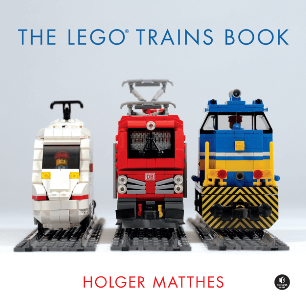 The English version of my LEGO train book is published now by No Starch Press. The English version is available since October 2017 in most countries. … is the name of my first LEGO hobby related book. 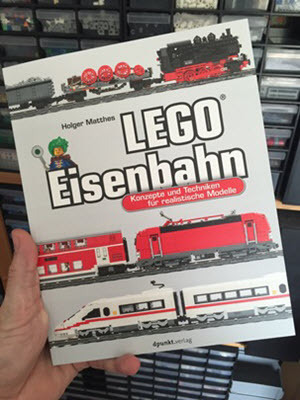 The title means "LEGO® trains – concepts and techniques for realistic models". 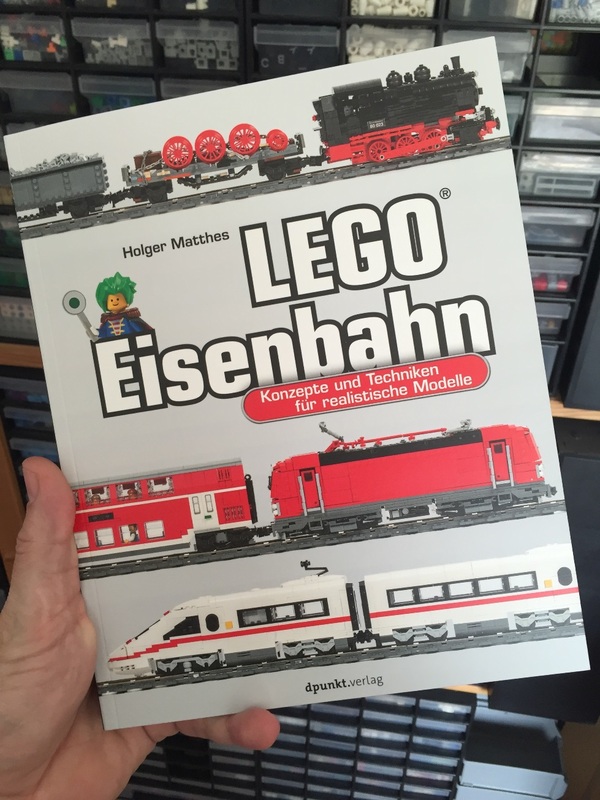 Sorry, currently this book is only available in German. 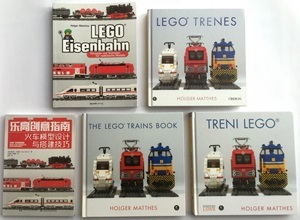 But drop me a line if you would love to see a English translation in your own book shelf. 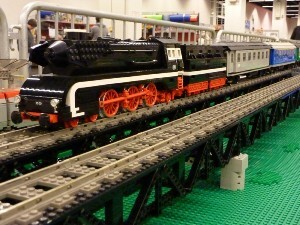 New version of my favorite BR 10 steam engine. 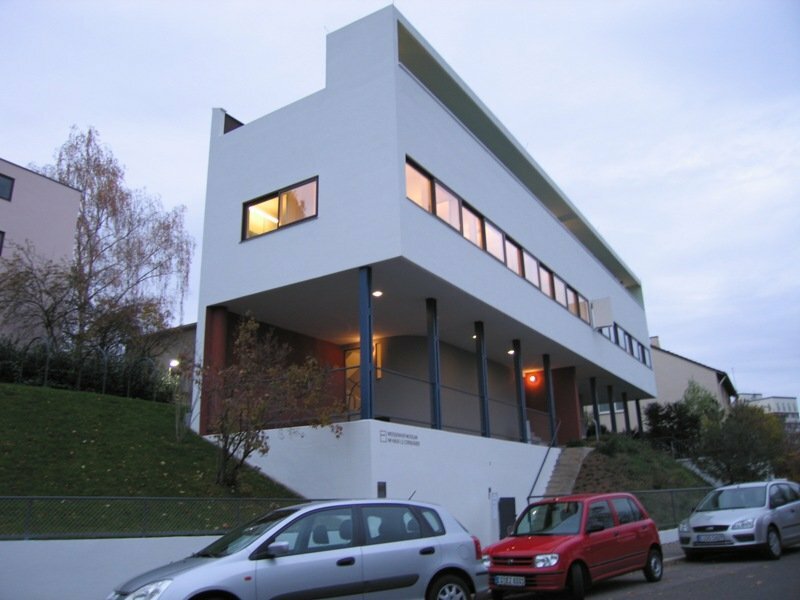 The building instruction is available as PDF-download. 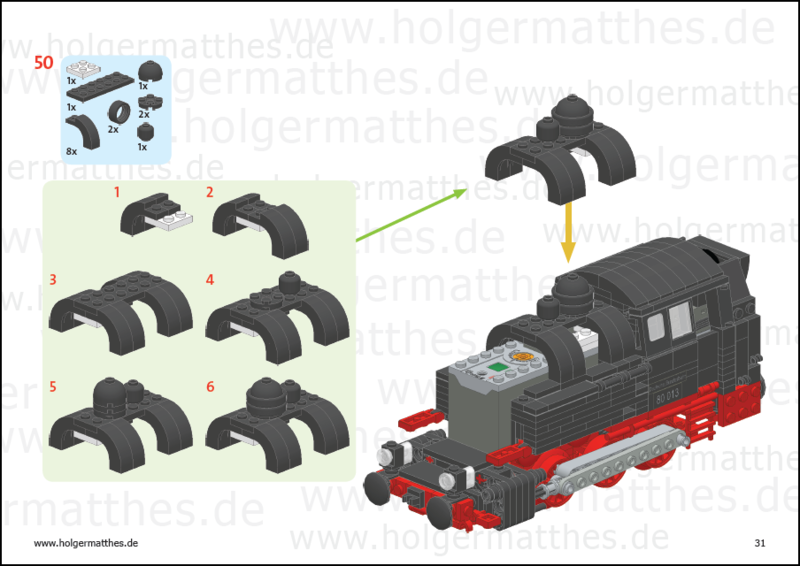 Now available: Building instruction and part list for my BR 80 steam engine as PDF-download. 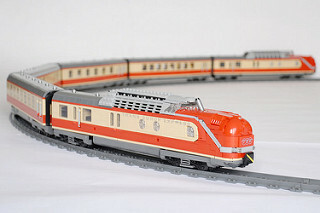 A Siemens Vectron electric locomotive and three Bombardier doubledeck coaches make my model of Deutsche Bahn's Regional Express. 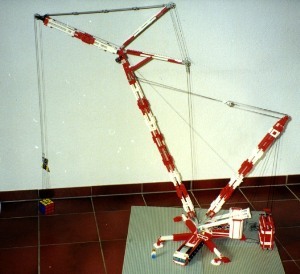 The SBrick is used instead of the LEGO PowerFunctions receiver #8884. The remote control is an app in your smartphone. 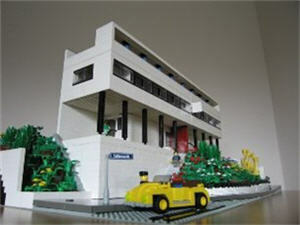 Architectural models built with LEGO. From Bucket Wheel Excavator to police's Water Cannon Truck. 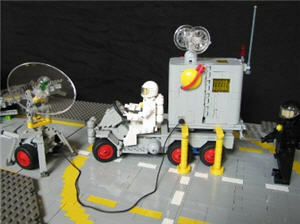 Classic LEGO sets from the Classic Space playtheme re-built in XL scale.